We saw 2001: A Space Odyssey last night in the birth place of Titanic herself. I never thought I’d be watching a movie of this caliber in a place like this, ever. It was pretty amazing. The rain stopped a couple of hours before the event, free beer was had and it was a massive turn out. It was a great venue for an outdoor cinema event, sound traveled good to. Only the second time in my life that I’ve seen this on the big screen. Following the famous match cut scene, when a bone thrown into the air cuts into a orbiting space satellite, I looked up and the stars started to seep through the cloud cover. In this case Deneb, Altair and Vega, (the summer triangle.) Totally cool experience. I bumped into a few people I know including Gawain Morrison from FilmTrip. 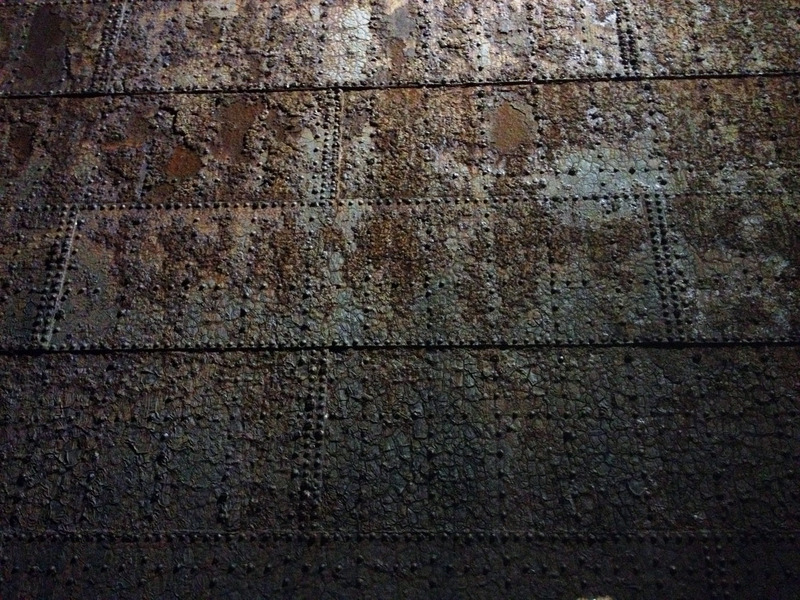 For the texture artists out there, the walls of the dry dock were beautifully seeped in history. … “I think my mind is going”… time for Red Bull.